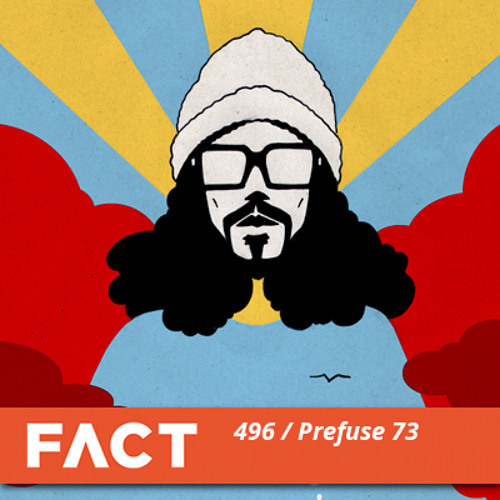 Full article and tracklist: http://www.factmag.com/2015/05/18/fact-mix-496-prefuse-73/ -- A one-of-a-kind hip-hop producer steps up. Although Guillermo Scott Herren has released music under a plethora of different names in his time - including early work as Delarosa & Asora, the drone-informed group Risill, his folk-influenced Savath & Savalas project and the exceptionally titled Diamond Watch Wrists and Piano Overlord - he's best known for his groundbreaking records as Prefuse 73. Herren isn't known for speaking publicly about his work, but he recently opened up to Laurent Fintoni in his most revealing interview to date, talking candidly about how early Prefuse records like One Word Extinguisher "changed the face of what kids are doing now" and the knock his confidence took when Warp dropped him after eight albums. Still, his vigour's back now: he'll be releasing new music throughout 2015, and his FACT mix - titled Themes for a 2005 SAAB (9/3 Wagon): A Commuter's Lament - features three unheard new Prefuse tracks (two of which will feature on a new EP due in July, Every Color of Darkness), as well as music by Obey City, Nils Frahm, De La Soul, Flying Lotus and more. WOW. all of this is wow! Anybody know what is this song ? Incredible. IM so So So loving it !! My cup of tea ?